In a change.org petition addressed to Louisiana Gov. 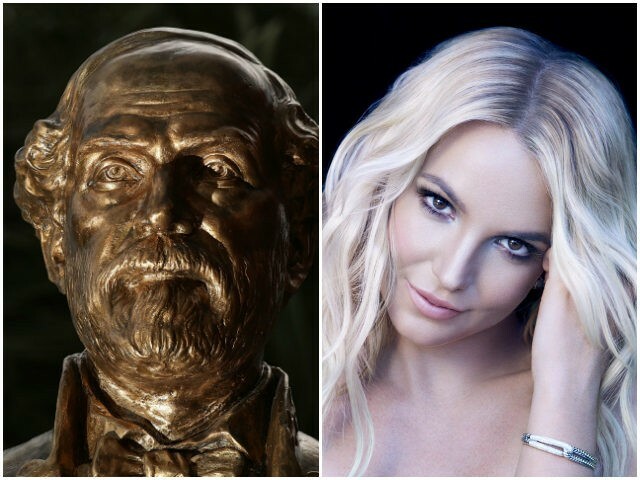 John Bel Edwards and other state officials, Rayne native Kassie Thibodeaux wrote that the “Oops I Did It Again” singer is an “inspiration to millions,” and would thus be a perfect candidate to replace any Confederate monuments in the city. The petition — which has so far gathered nearly 4,000 signatures — goes on to list some of Spears’s humanitarian accomplishments, including her foundation’s work to support Hurricane Katrina victims and her donation of proceeds from her Las Vegas residency to help the state’s schools. The fan petition comes as Democrats and left-wing activists have mobilized in recent weeks to bring down monuments and statues commemorating Confederate soldiers. While initial campaigns focused on Civil War-era monuments, the effort has since expanded to include any historical figure with a past deemed to be “troubling” or objectionable; this week, New York City Mayor Bill de Blasio ordered a review of all statues and monuments in the city, including the iconic statue of Christopher Columbus in Manhattan’s Columbus Circle. The Spears petition follows a similar petition launched last week by fans of the rapper Missy Elliott. That effort, which has collected more than 30,000 signatures, seeks to replace the Confederate monument in Olde Town Portsmouth, Virginia, with a state bearing the likeness of the “Get Ur Freak On” rapper.